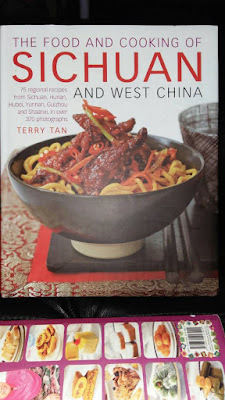 I picked up another book by one of my favorite local chefs, Terry Tan. A lovely book with wonderful pictures of the dishes being prepared. 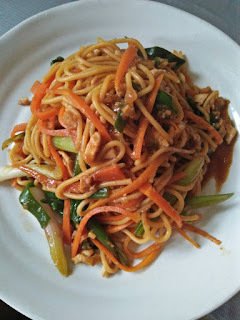 For hubby's lunch today, I drew inspiration from Terry's Dan Dan Noodles but using whatever ingredients I had on hand; hubby cleaned the plate! No wonder hubby cleaned the plate! Looks delicious!